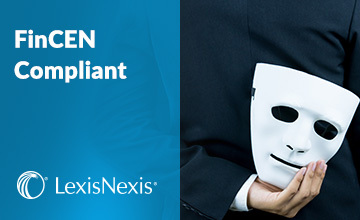 FinCEN's New Beneficial Ownership Regulations – Ready or Not? Since its introduction of the Foreign Corrupt Practices Act (FCPA) in 1977, the United States has led the world in efforts to counter bribery and corruption in corporate business that traverses national borders. Now it has gone a full step further with permanent adoption and expansion of its Corporate Enforcement Policy pilot program that incentivized voluntary disclosure of potential FCPA violations. At the same time, new regulations under the U.S. Department of the Treasury’s Financial Crimes Enforcement Network (FinCEN) become effective on May 11. They will require that “covered financial institutions”, including banks, step up their due diligence practices when opening accounts for legal entity customers and amend their anti-money laundering programs accordingly. With the ever-increasing complexity of global supply chains and third-party networks, these changes further emphasize the need for companies to examine their compliance programs to ensure they have robust auditing systems and internal anti-corruption controls. They need to be kept up to date with the latest regulatory requirements, and in the case of breaches—be they intentional or incidental— maximize the potential for recourse to mitigating circumstances. Deputy Attorney General Rod Rosenstein announced the permanency and expansion of the FCPA’s Corporate Enforcement Policy last November in a speech marking the 40th anniversary of Congress enacting the FCPA. With the revisions now formally added to the U.S. Attorneys’ Manual, U.S. companies, and other companies doing business with U.S. companies, face new challenges in understanding and navigating how the Department of Justice (DOJ) will interpret and apply them in exercising its prosecutorial discretion. The revisions do not create a statutory right. Rather, as Rosenstein stated, they are designed “to provide guidance and greater certainty for companies struggling with the question of whether to make voluntary disclosures of wrongdoing”. They also serve to guide the DOJ in exercising its discretion, and thereby “combat the perception that prosecutors act in an arbitrary manner”. Unlike practice under the 2016-17 pilot program, DOJ policy on FCPA matters now include a “presumption”, but not a guarantee, in favor of reduced criminal charges “in the hope that more companies would choose to self-disclose corrupt business practices and work responsibly, in cooperation with the DOJ, to investigate, respond to and prevent this type of criminal behaviour”. In short, companies are required to make voluntary disclosure of suspected FCPA violations to the DOJ, in a timely manner (promptly upon their discovery, and before investigation or prosecution is imminent). They must also fully cooperate with the DOJ throughout the investigation and make appropriate remedial efforts to mitigate the risk of similar conduct reoccurring. Having met the requirements to the DOJ’s satisfaction, a company could receive up to a 50% reduction off the low end of the Sentencing Guidelines fine range. Even without voluntary disclosure a company could receive a 25% fine reduction, based on subsequent full cooperation and appropriate remediation efforts within the company. Rosenstein highlighted factors whereby offenders might lose eligibility for consideration: “Aggravating circumstances related to the nature and seriousness of the offense, or if the offender is a criminal recidivist” and “involvement by executive management of the company in the misconduct; a significant profit to the company from the misconduct; [and] pervasiveness of the misconduct within the company”. Companies should not take this policy revision as a signal that the DOJ is relaxing its stance on antibribery and corruption compliance. Notably, while there were fewer enforcement actions in 2017 than in 2016, the average fine size per company in 2017 was double that of the previous year. Also, multinational actions are on the rise due to stricter anti-corruption laws in many countries and regions with a U.S. business presence, including Eastern Europe, France, Mexico, Brazil, South Korea, and Saudi Arabia. A fuller understanding of how the DOJ will exercise its prosecutorial discretion under its newly formalized policy will be crucial to sound and wise corporate governance. The means to achieving this will come in two forms: the department’s announcements delivered through memoranda and policy statements; and its requirements and considerations as illustrated in its statements in regard to specific prosecutions. ● Enhance their due diligence practices when opening new accounts for legal entity customers by obtaining and maintaining information identifying the individuals who are the customers’ beneficial owners or controllers. ● Amend their anti-money laundering programs in relation to collecting, monitoring and maintaining this information. The regulations are aimed at preventing financial crimes conducted through accounts created and operated anonymously through ‘straw men’ or nominees. The covered financial institutions include banks, federally-insured credit unions, savings associations, corporations involved in international or foreign banking or financial operations, federally registered trust banks or trust companies that are subject to anti-money laundering requirements, mutual funds, and brokers or dealers in securities. Legal entity customers are defined as corporations, limited liability companies, general partnerships and any other entity created by filing a public document with the secretary of state or similar office. This includes similar business interests formed in a foreign country. Where FCPA offenses are not present, other U.S. laws covering corruption offences include anti-money laundering statutes, the Travel Act, tax laws, and mail and wire fraud statutes.